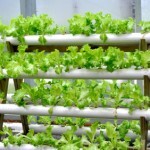 Before you start your own Hydroponic Garden, you need to take into some Considerations of Hydroponic Designs. After taking care of that understanding, it will take you a long way to a better and a more productive Hydroponic Design and Garden. 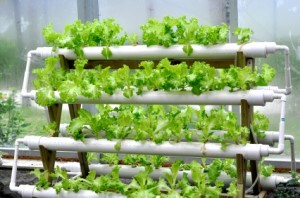 Hydroponics involves growing plants in a liquid-based medium instead of soil. This method is beneficial since it involves a more regulated environment without the risks of introducing soil-based diseases and insects, better control over space occupied since there is no root spreading and amount of nutrients received by each plant is controlled fully. Before you start your own garden, you need to take attention and time, but once you run it successfully you will yield good results. 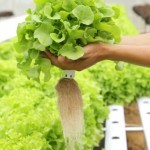 As a gardener, you are required to add nutrient-solutions to the water in the hydroponic garden. Regular plant fertilizers are also added to provide an adequate amount of nutrients for the hydroponics. However, the gardener must have several Considerations of Hydroponic Design. First, you must place your garden in areas with sufficient air circulation and light. The gardener is also required to provide appropriate plant-light and fan since many such gardens sit indoors. The gardener must also make sure that the temperatures range between 55 and 70 degrees, especially for vegetables. One may also build inexpensive systems from plastic or polystyrene boxes with small holes at the top for roots to grow, netting to keep the plants in place and fish-tank-air-pumps to increase the supply of oxygen to the water. The gardener may also use more advanced and expensive systems consisting of timers for air-pumps, pipes with slow flowing water and sturdier wooden frames. The gardener may also attend various educational workshops informing them more on the indoor gardening options. The grower is also expected to be monitoring the pH level and the way it is affecting the nutrient availability. In addition controlled light helps in keeping the solution level low so that t least two third of the plant root-systems are rendered to the air. Essentially, it is better to ensure that harvesting and seedling take place periodically. Also, start the crops at one end and keep them moving by intervals to the other end where harvesting takes place. To provide more oxygen the grower may create a sprinkler head drawing up water and mists to the roots. Hydroponically, a plant grows faster since it does not need to grow its roots extensively since everything is supplied directly. The plant also spends its energy to grow more vegetation and less root system. This method of growing also saves water thus it can be used even in areas which are dry like the arid and semi-arid areas. 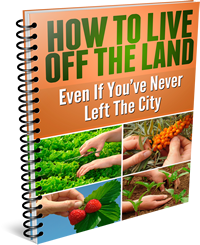 It also offers a perfect solution to anyone wishing that he/she had a garden of his/her own but suitable soil or enough space is lacking. Such a person only needs to grow plants using nutrients dissolved in solution instead them being dissolved in the soil. Hydroponic gardening enables one to grow delicious vegetables and beautiful flowers virtually anywhere you want no matter the season or the amount of rainfall in that area. Such a garden also requires less maintenance compared to a normal garden since one spends less than five minutes daily maintaining it. Finally, remember to replace the nutrient solution after every few weeks. Consider your Hydroponic Design. Just try it, experiment a little, follow this site, expect some trial and error, and you are sure to get incredible results. Talk to us! Leave a comment below.